Panta Bhaat, a type of fermented rice widely consumed on Pahela Baishakh, is enriched with micronutrients but it may cause an upset stomach if hygiene is not maintained and proper fermentation process is not followed. 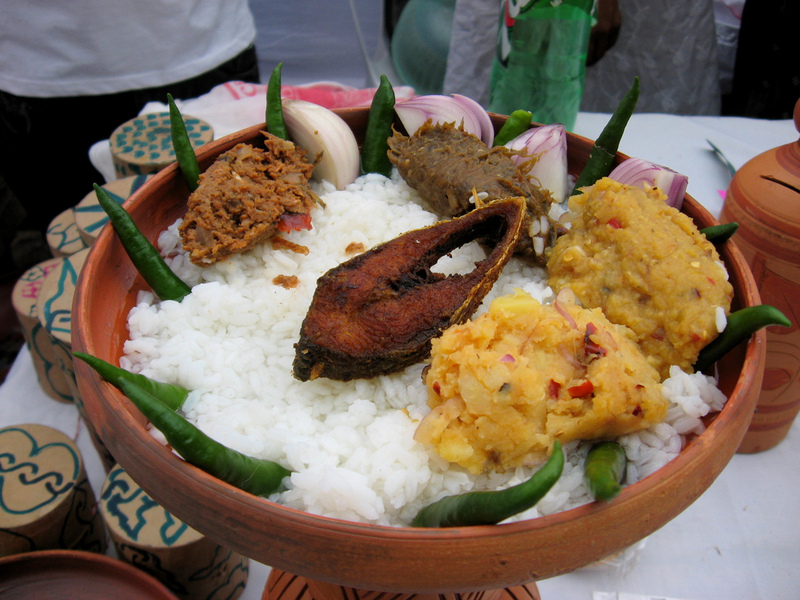 Eating fermented rice is a tradition in Bangladesh and the North Eastern part of India especially West Bengal, Assam and Odisha on the first day of the Bangla new year. It was once popular in breakfast in Bangladeshi households. Fermented rice is considered to be a coolant during summer. Traditionally, people living in rural areas would consume it before going to work in the hot summer days. However, if someone consumes rice fermented in an improper way or without maintaining proper hygiene, they are likely to fall sick, health experts said. Dr Monirul Islam, director (nutrition) at Bangladesh Agriculture Research Council (BARC), told the daily sun that fermented rice contains beneficial micronutrients, including a huge amount of calcium and iron. “In this process, the calcium content increases by around 351 per cent from 22 per cent and iron increases by around 30 per cent from 8 per cent,” he said. Many beneficiary bacteria are grown in fermented rice and it is good food for all especially for the girls during their period time, the nutritionist said, adding that consuming an adequate amount of fermented rice can help fight against iron deficit. Monirul said it also increases electrolytes in the human body and can help to keep the stomach cool. However, many people fall sick after having Panta Bhaat on the Bangla New Year. The nutritionist said food poisoning may occur from Panta Bhaat intake if proper hygiene is not maintained and pure water is not used in soaking the rice. Prof Dr Iqbal Rauf Mamun, a member of Bangladesh Food Safety Authority, said consuming over- fermented rice may cause upset stomach as over fermentation leads to microbial contamination. Usually, the Baishakh Panta Bhaat is made from putting leftover cooked rice in water overnight. The fermentation of the rice partially starts after 2 hours and 4 hours and then the fermentation process gets faster, said Iqbal Rauf Mamun. Fermented rice prepared in restaurants, hotels and makeshift shops are usually exposed to high temperature during the process, he said, adding that such fermented rice is likely to cause an upset stomach. On Pohela Boishakh, Panta Bhat is consumed with salt, red chilli fry or green chilli and onion.